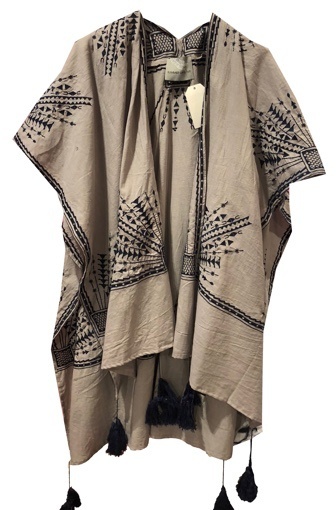 Longline hand embroidered poncho. 100% cotton. Hand wash and hang to dry.